When I am travelling for business to places near the sea I always want to be able to charter a yacht to stay on instead of having to search for a hotel – I just prefer the peace that this offers. I was actually able to manage it once while visiting Barcelona for a very large conference. You’d typically think that this would be just as, or if not more expensive but I was able to save a fortune compared to the cost of the regular hotels in the city. On top of this I had a fantastic sea view. Truthfully, at the time it was quite difficult for me to find and arrange. Although not any longer. I have discovered this great new website for yacht charter , Click&Boat. The company is the boating equivalent of Airbnb. Boat owners create listing for their boats depending on their availability, they choose the price, dates and can offer charters with or without a skipper. Users simply enter in your search requirements, browse the range of boats available and take their pick. Once they have requested the boat they would like they are able to talk directly to the boat owner to make the final arrangements. So in my case; I needed to stay in Southampton for a Boat Show. The exhibition hotel was over £300 a night and fully booked so instead I found a yacht to charter on Click&Boat within walking distance of the show and for less than half of that price. 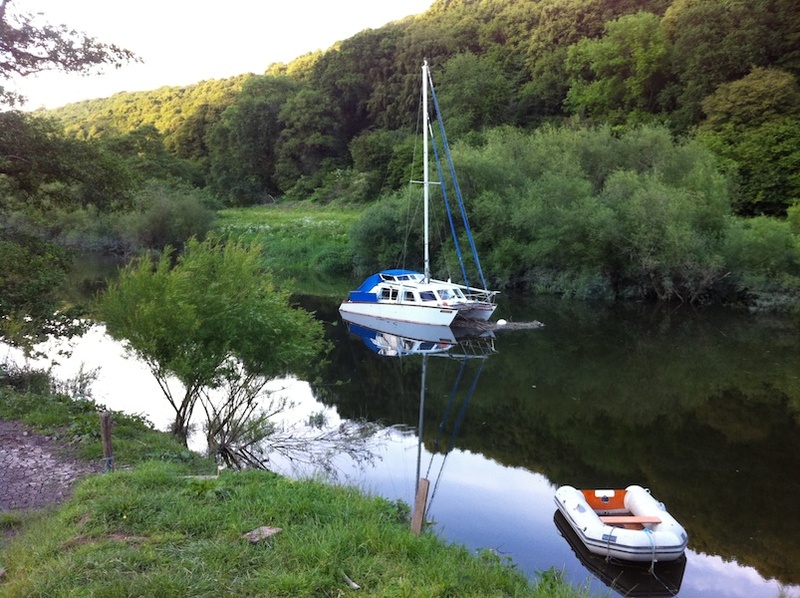 I am also thinking of putting my catamaran Sarita on the Click&Boat website – fancy a stay on the beautiful river Wye with power and water to hand? Click&Boat have more than 20,000 yachts listed on their websites and over 40,000 customer reviews. They are the European authority on peer to peer yacht charter and offer you a secure service.